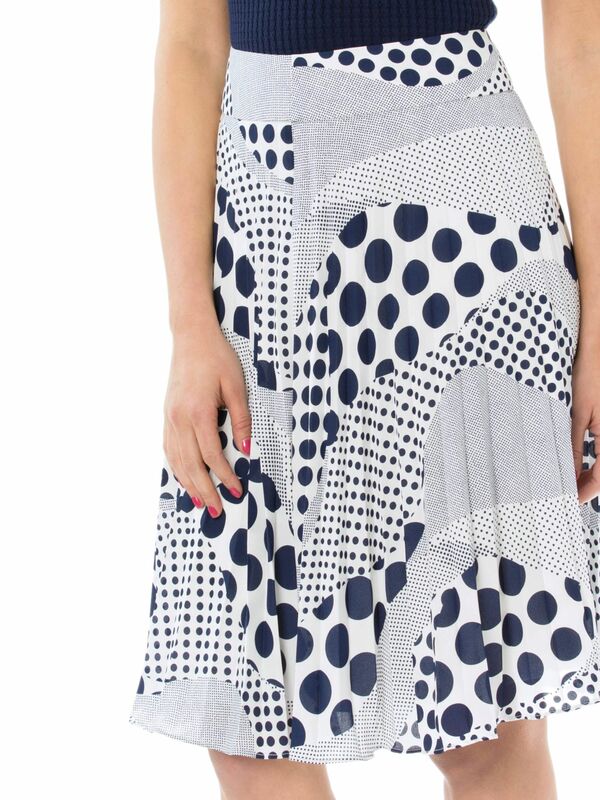 Under The Sea Skirt https://www.review-australia.com/global/under-the-sea-skirt-white-navy/RE19SK040.REWHT032.html Our Under the Sea Skirt makes a unique and striking appearance for the new season. 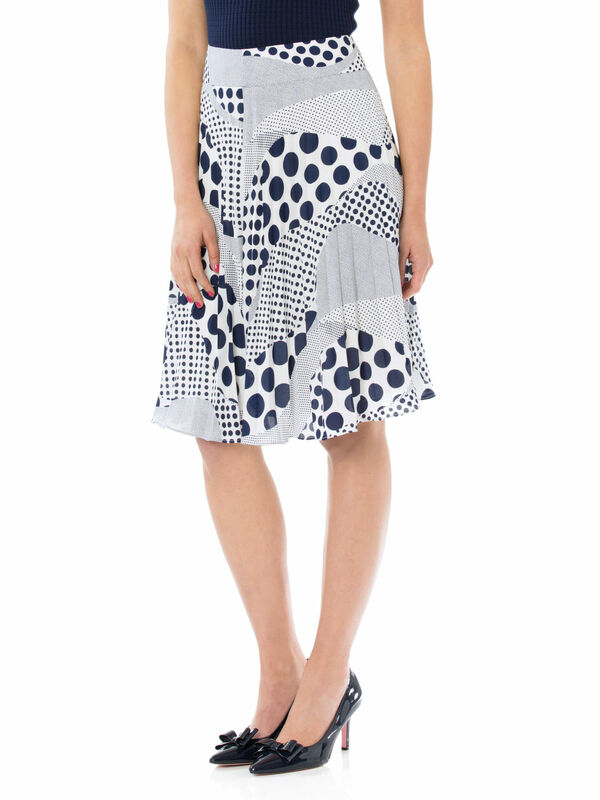 Versatile yet statement-making, this soft pleated skirt features an print of gradiated polka dots in navy on cream. In a regular fit, the mid-length A-line skirt sits at the waist and has a flare through to the hem. A concealed back zipper and full satin lining completes the look. Worn with Lovers Lane Knit Top and Minnie Heels. Our Under the Sea Skirt makes a unique and striking appearance for the new season. 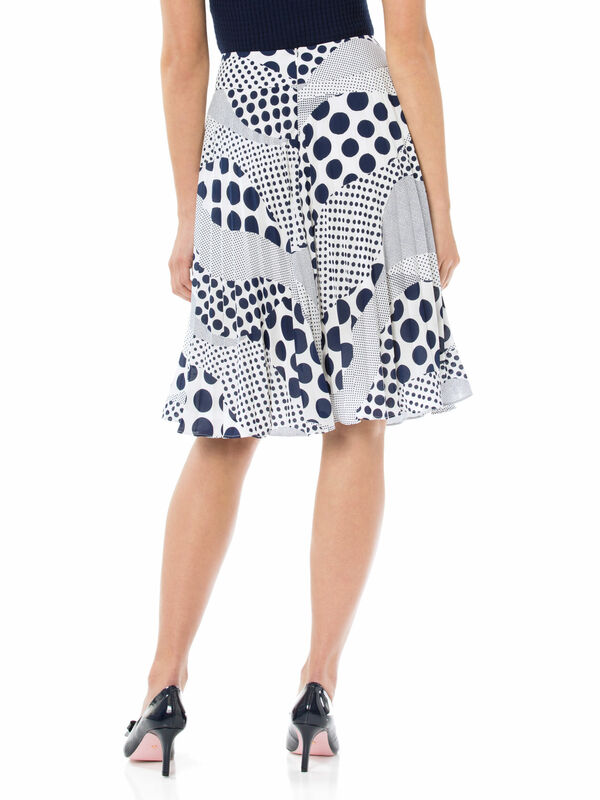 Versatile yet statement-making, this soft pleated skirt features an print of gradiated polka dots in navy on cream. In a regular fit, the mid-length A-line skirt sits at the waist and has a flare through to the hem. A concealed back zipper and full satin lining completes the look.